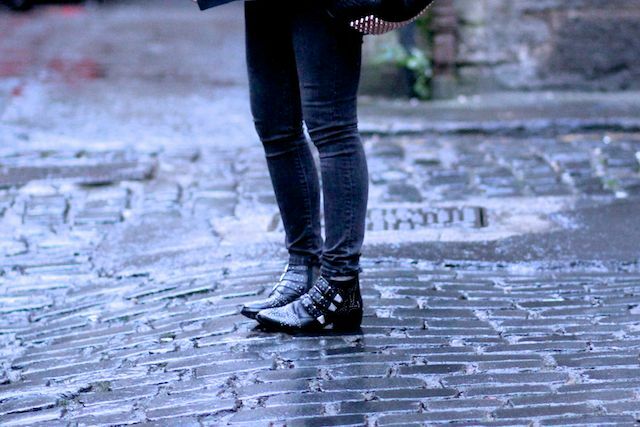 Welcome to the gloomy, cobbled streets of Edinburgh! They are now in the Office sale and £55 rather than the £80 I paid....of course they are....how annoying! Faux Fur collar: Topshop - Link! PS. My face has been deliberately cropped out of the pictures. It was the day after an overnight flight and an office Christmas party...'nuff said. Hey what's the link to the fur collar it doesn't seem to work! Thank you! I'm definitely buying the fur. I wish you lived permenatly in the uk so we could see more winter outfits! i am one of those who paid the full price for the boots thinking that they will be sold out in minutes :) beautiful outfit laura! awh yay! i hope i see you about Edinburgh! in a non-stalker way. i love your wee blog. it's not been as cold this weekend, so you've come back at a nice time. it was -4 earlier in the week. everyone seems to have these boots and honestly i dont like them, but i'm really loving the faux fur collars that are out atm, and perfect for this winter weather! 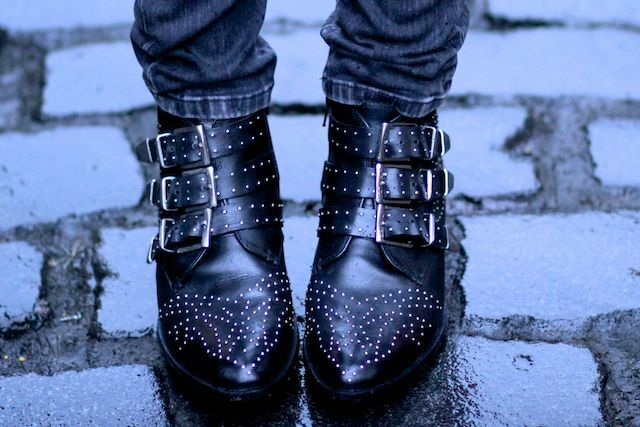 Love these boots, they look lovely with the jeans! Also loving the fur - beautiful outfit. Also, YAY for coziness, one of the only good things about winter! Those boots are awesome! I was looking at a similar pair in Macy's here in the US. However, it's just too crazy in stores right now and I'll have to wait until after the first of the year to shop in peace. The boots looks fab. I have a similar version from Zalando (a freebie!) & have worn them loads. Enjoy your time in Edinburgh. love your outfit, especially the boots!! Those jeans may be the comfiest jeans alive. If there's one thing Topshop do well for the price that they're asking, it's the Jamie jeans! May have to treat myself to a fur collar too! Love the collar! Nice outfit. Cute boots. Yes, you certainly look cozy. Wish I was in UK. I love the boots! I am adding a pair to my wish list. Hey Lovely! Hope you enjoy your time in Edinburgh! I can recommend some bars etc if you like? Just ordered these beauties. Woopee! Are the office shoes actually comfy? I'm thinking of getting them but not too sure if they aren't too heavy in weight? Oooh would you say the boots are true to size? Ive seen the white ones but they are size 7 and im six, i wonder if theyll be massive? đường cứu viện, còn ngươi... "
chư hầu duy nhất mà Long Tộc thu phục!" cử động của Tạp Bố Tư Cơ, vẻ mặt cũng tỏ khiếp sợ! loại yếu đuối mà cúi đầu cầu xin sự tha thứ như thế?" It's a cool looking unit Best Beard Trimmers which is comfortable in the hand beard trimmer and also could take care of any behance type of man's beard without a misstep. behance.net Like the Wahl, this beard trimmer has a detail trimmer official guide which easily enables.